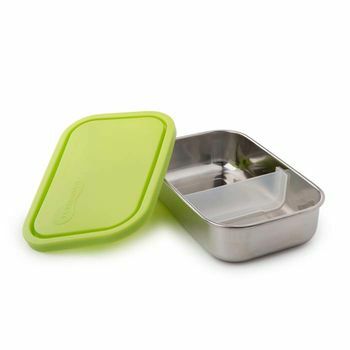 One leak-proof stainless steel container with divider. Choose ocean blue, lime green or a sky blue lid. 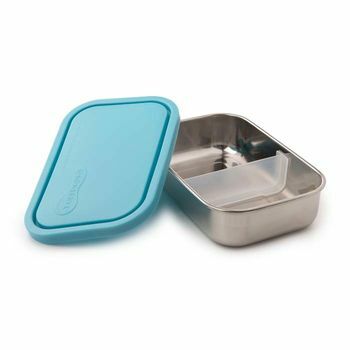 With this U-Konserve Rectangular Container it's like having a few containers in one with a movable and removable divider! Available in ocean blue, lime green or a sky blue lid. 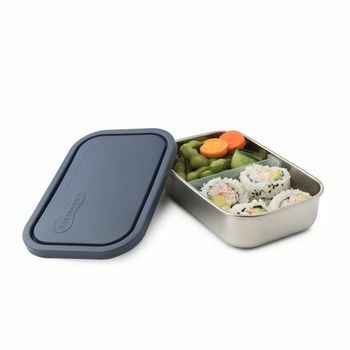 This reusable bento-box-style lunch box favourite is the perfect on-the-go solution for entrí©es like sandwiches, sushi and cut fruit. 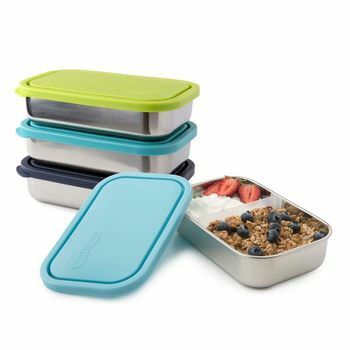 Also use for takeaways, salad bars, and to store your leftovers in the refrigerator or to bring them to the office the next day. 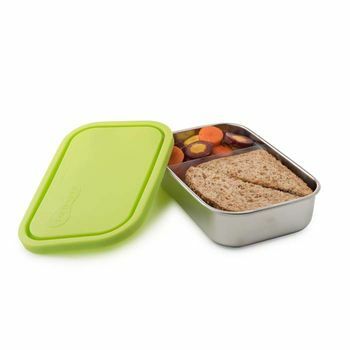 Made from food-grade stainless steel. 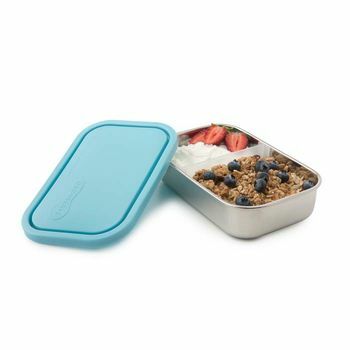 Lid: non-toxic LDPE #4 plastic. 19.5cm x 12.5cm x 4.5cm deep. 33oz.